The ProForm XT 70 treadmill is the entry-level machine of the company’s ProShox Series. It has two key selling points - ProShox™ Cushioning and the iFit Live technology, both of which are over-rated. The machine does have some decent features, like incline capability and a nice variety of built in workout programs. But other than that, there's really not that much going on. The Grafixx™ LCD displays tracks your time, distance, calories burned, speed, and vertical feet. The ProForm XT 70 treadmill has a two-position incline of 10% and 20%. * iFit Live Module, Web Subscription, & Wireless network required. UPDATE: The ProForm XT70 is no longer available for sale. You can check out our latest ProForm treadmill reviews here. As far as a comparable model, the closest you are going to find is probably one of the Performance Series treadmills; either the 400i or the more advanced 600i. Both of these machines are lightyears ahead of the XT70, with stronger motors, power incline and higher speeds, as well as stronger warranties. Price wise, both of these newer models are around the same price as the XT70 was, and you definitely get a lot more for your money. They also come with the latest version of iFit Coach, which gives you a whole immersive workout experience unlike any other. If you want to stay with ProForm, check out those Performance models, and if your budget is a little more open or you want something even more advanced, definitely consider the Pro Series. The Proform XT 70 offers a featured called ProShox™ Cushioning, which uses a pressure-responsive air shocks under the deck to help absorb stride impact. This system makes the deck too bouncy. The treadmill also offers a 20% incline position but the walker must dismount the machine and manually change the setting. Two other drawbacks are that the motor is too small, and the new iFit Live technology is still suffering software glitches and growing pains. There aren’t many treadmill reviews on the ProForm XT 70, and that’s a good sign that shoppers are smart enough to avoid this one. The goal in this budget model is to provide three cardio workouts in one – stepper, elliptical, and treadmill. It’s too bad they couldn’t just focus on making a decent treadmill and forget the rest. 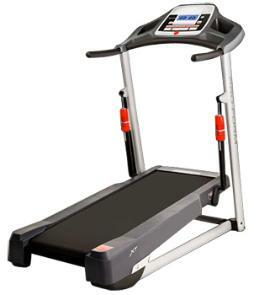 Motor size and deck cushioning are two of the important features in a treadmill at any price point. 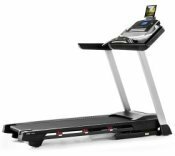 ProForm has been struggling to come up with a winning model to sell for $699, and the Proform XT 70 treadmill falls flat. It doesn’t compare in quality and features to the budget priced Horizon T101 treadmill. Currently selling for $599-$699, the Horizon offers a stronger motor, 10% power incline, and an upgraded cushioning system. Editor's Note: Take a look at the Horizon, and also look at the newer ProForm treadmills to see if one of those models appeals to you.